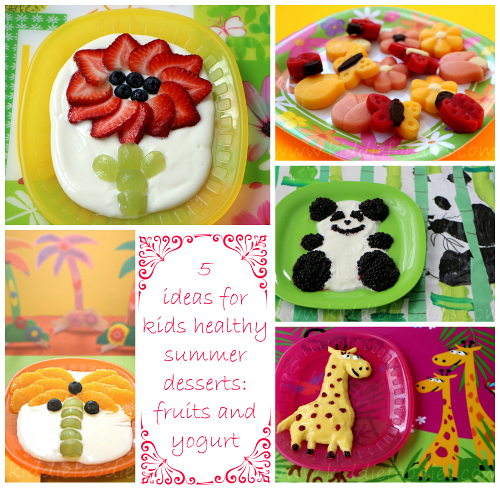 If you are looking for some healthy dessert ideas to feed your little tummies during summer, check these fruit recipes served with yogurt. 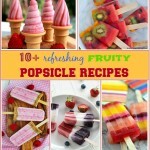 They are cute and super easy to make. You can involve your kids in the preparation. I am sure they will have a lot of fun playing with food! 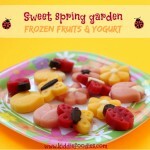 Strawberry flower - you can make this nice flower with just yogurt and fruits; or even have your kids making it:) It is so easy and they will love to participate! Palm tree - imagine you are on the beach under palm trees, looking at the sea, your toes in the sand... How refreshing is that, with just fruits and yogurt! 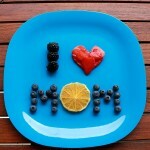 Panda - spread some yogurt on the plate, cut some blackberries and let your kids make the rest! You can be very surprised to see how cute their panda can be. Just let them try and you will see - this will be the best dessert they ever had - all made by little hands! Giraffe - this funny giraffe made my daughter eat mango! 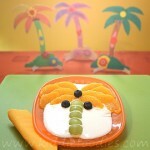 Make simple mango smoothie and spread it on the plate shaping giraffe. 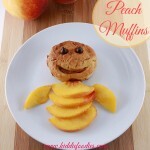 Prepare dried fruits and let your kids decorate it.